What did Jim Jordan know, and what did he do about it? Photo: Tom Williams/CQ-Roll Call,Inc. The horrific scandal involving Larry Nassar, the Michigan State University and U.S. Gymnastics team physician who was convicted of criminal sexual assault against athletes under his care, and was credibly accused of literally hundreds of acts of abuse, has made the risks of sexual misconduct by medical personnel at colleges a huge topic, especially in the Midwest. Those who knew or had reason to know of his misdeeds over the years have been held accountable: Exposure of his crimes led to the resignations of the president and board of USA Gymnastics, and the president of Michigan State, along with $500 million to settle lawsuits against MSU filed by 332 Nassar victims. 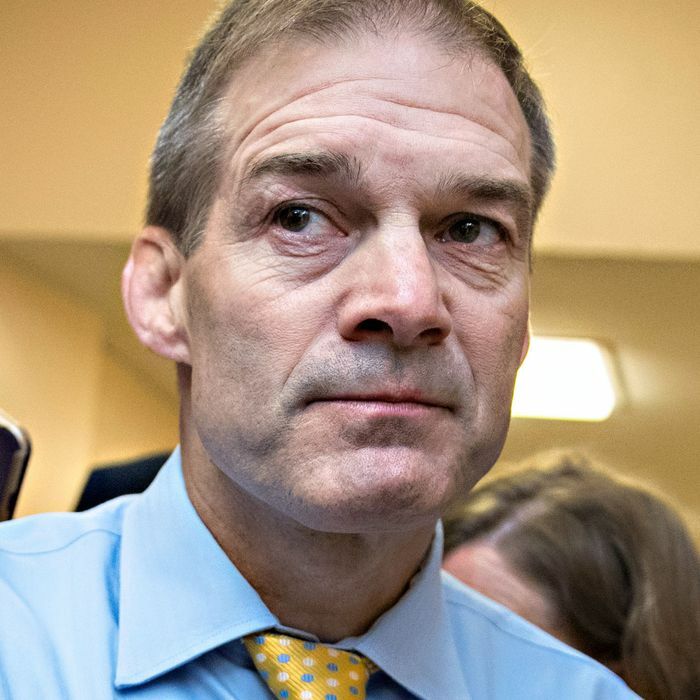 Rep. Jim Jordan, the powerful Republican congressman from Ohio, is being accused by former wrestlers he coached more than two decades ago at Ohio State University of failing to stop the team doctor from molesting them and other students. The university announced in April that it was investigating accusations that Dr. Richard Strauss, who died in 2005, abused team members when he was the team doctor from the mid-1970s to late 1990s. Jordan, who was on the wrestling staff at OSU from 1986 to 1994, before his political career began, is denying that he knew anything about Strauss molesting his athletes. His denials, however, have been met with skepticism and anger from some former members of the wrestling team. [Mike] DiSabato said he was first abused by Strauss at 14 as a high school wrestler. He said he believes Strauss abused 1,000-2,000 young athletes. The swamp unleashed a smear campaign on Jordan Tuesday morning, accusing him of turning a blind eye to sexual abuse as Ohio State wrestling coach. Jim Jordan goes against the powerful interests at the FBI & deep state to expose them & hold them accountable for their crimes. Now all of a sudden there is a concentrated smear campaign against him in a deliberate attempt to discredit his work? It takes some kind of self-confidence to hear of serious allegations of criminal misconduct that only indirectly involves one of your “team’s” politicians and immediately know for a fact that it’s a “deep state” conspiracy. The rest of us will just have to wait for the facts to unfold.